All lines that we represent which are available to Distributors. Amusemints has been manufacturing candy & mints for 20 years ­ producing exciting, unique and eye-catching gifts for the retail and promotional industries. Amusemints’ concentration is two-fold; producing the highest-quality mint coupled with creatively designed functional packaging. Our mint tins are not just purchased for consumption, they are considered collectibles and keepsakes. Our legendary, All Natural Chocolate is made with Fair Trade Certified™ Cocoa. Your everyday purchase of Fair Trade Certified™ Cocoa supports quality products that improve lives and protect the environment. Our mission is to provide the finest CRISPYCAKES™ and desserts for all of life’s moments, delivered and backed by our guarantee of excellence. These specialty crispy bars are all handmade fresh daily and customized for all occasions. The Crispery has been continuously growing for more than 15 years. It guarantees quality and freshness of all desserts and gifts. CRISPYCAKES™ reputation for quality, value and personal customer service has been unsurpassed. Culinary Collective is an import and distribution company specializing in gourmet cultural foods that embody and promote native cultures and traditions. We work with small family and community companies that take pride in producing all natural foods using methods and recipes passed down through the generations. Dairyfood USA’s Institutional Division includes among its customer base some of the most recognized names in the world. Included among them are leaders in the ever-growing Snack Food industry, as well as Airline and Foodservice industries, who rely on Dairyfood USA to provide quality products, delivered on time to meet the needs of their customers. Our mission is to search the globe to find the world’s finest confectionery products that satisfy the most discriminating of palates. We currently import these delicacies from Australia, Austria, France, Italy, and Switzerland and proudly provide a wide array of confections including: confetti almonds, chocolates, assorted candies, amaretto cookies, palets, galettes, licorice, lollipops, torrone, panettone, marzipan, mints, gum, fruit pastilles, and sugar free confections; all delivered with world-class service to our customers. Decorated Cookie Company/Corso produces delicious hand-decorated shortbread cookies made from a signature family recipes. 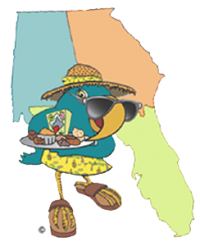 Our cookies are primarily sold in upscale retail store, e-tailers and gourmet/grocery outlets. 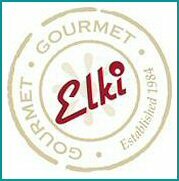 You can count on high quality ingredients, beautiful packaging with the perfect mix of traditional and innovative flavors when you share Elki products with your customers. Ladrea Marie’s cookies are deliciously fun, exciting, and have a well-balanced taste. They are loved by both people who like spirits and those that do not. They are not only delicious, but also capture an untouched audience of cookie loving spirit flavor enjoying adults. Lake Champlain Chocolates has been crafting fresh, all-natural chocolates in Burlington, Vermont, for over 25 years. Browse and shop our seasonal selection of fine chocolates online, including gourmet chocolate wedding favors, chocolate truffles, chocolate gift baskets, corporate chocolate gifts, and more! Handmade old-fashioned goodness is how customers describe our chocolates. Using only the freshest ingredients and without preservatives, Long Grove Confectionery creates the finest chocolate confections imaginable with Great Care & Love! Ultimate Decadence: High Cacao chocolates and exotic flavors come together for an ultra premium experience. We have unleashed our creative spirit with bold combinations including fruits, nuts, sea salt, spices, cacao nibs, and more. Mercer’s is a female and family-owned business. In 2006, Mercer’s mastered the art of blending luscious ice cream with superb wine to create an incredibly elegant adult dessert, Mercer’s Wine Ice Cream. This unprecedented ice cream is infused with up to 5% alcohol by volume and is available in 8 flavors for retail and food service. It has received both international & national awards for taste and package design. One must be of legal age to enjoy. Importer and Distributor of the world’s finest Specialty Foods and Confections. Specializes in German products. Other countries of origin include: Italy, Ireland and Colombia. Broad range of products include; chocolates, candies, cookies, salty snacks, crackers, meats, cheeses, honey, preserves, pickles, sauerkraut, condiments, pasta, coffee, tea, baking mixes, bottled drinks, and more. Click here to see the Niche Gourmet portfolio. Nikki’s Cookies taste just like you baked them at home, because they are made from old family recipes that were handed down to Nikki from her grandmothers. They are all-natural, contain no GMO’s, are made with rBST-free butter and aluminum-free baking powder. They contain no trans fats or preservatives and are available in everyday and seasonal items. The packaging is beautiful – reflecting the quality of the cookies inside and making them pop on the shelf. And best of all, they are amazingly delicious!! We know the best tasting popcorn starts with the perfect kernel so we know where our corn comes from and who grows it. Our non-GMO corn is a proprietary hybrid – the only place you’ll find it is in a bag of Oogie’s. Besides being outstanding in their field, our farmers make sure we have the highest quality kernels to meet our rigorous standards. 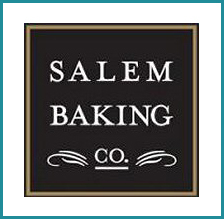 Salem Baking Company’s artisan baking heritage dates back to 1930. At our bakery, located in the foothills of North Carolina, we specialize in tome-honored recipes baked in the homemade tradition. Each distinctive product is made with the extraordinary, all natural ingredients and is completely free of trans fats, for a world of flavors you can feel good about savoring. Using bright, familiar and easily recognizable sunflower as inspiration, we have created many outstanding products: Midwest grown Farmer’s Popcorn Cob, chocolate covered candy coated sunflower seeds we call Sunny Seeds®. Sunflower everything. VineyardFresh Wine Preserver ensures Fresh Wine Everytime™ by stopping the process of oxidation. VineyardFresh will create a protective barrier between the air and wine. Using 100% Argon gas, VineyardFresh will keep wine fresh for weeks.